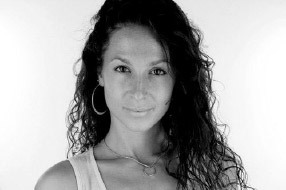 Laurence Mathieu-Leger is an award-winning producer, director, and editor as well as a wife and mother of two small children. She was previously a senior video producer at the Guardian US, and is the director and co-producer of “Willie“, a feature length documentary about the National Hockey League’s first black player, Willie O’Ree. Laurence is originally from Montreal and now based in New York City. An accomplished athlete, she specializes in documentary projects and has done work for major networks and publications such as The Guardian, Reuters, La Presse, Cosmo, and the United Nations, among others. Her work was featured at the American Museum of Natural History in New York City as part of the the special exhibition ¡Cuba! In 2017, Laurence received international recognition after winning a World Press Photo award for her groundbreaking work on the Guardian interactive production The Injustice System – which she spearheaded. In 2018, she was honored with the prestigious Edward R. Murrow Award in the continuing coverage category for her work on Keystone XL: Driving the US pipeline route.